Wallets are the quintessential accessory for any guy. Regardless of their personal style or status, every man needs a quality wallet. Not only are they a practical way of carrying the essentials, but they represent a man’s personality and style. Quality wallets are known for their durability and convenience. They’ll easily fit into the back pocket without adding unnecessary bulk. High-quality materials like leather also ensure that the accessory can last a lifetime. Here are 10 of the most popular wallet brands. They have a reputation for being the best on the market. From big designer names to more modest selections, there’s an option for every man. The renowned designer label constantly puts out quality products. The German brand produces fashion-forward clothing and accessories that are popular all over the world.Their wallets are sleek, modern, and have superior quality. Wallets start out at the $50 price point and can go for much higher depending on the model. Most wallets average at around $100. For that price tag, you can expect excellent construction and luxurious materials like cow hide leather.Their most popular model is the Hugo Boss Brummi Bi-Fold Coin Pocket. The streamlined appearance is popular among men all over the world. 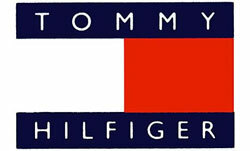 Tommy Hilfiger is relatively new in terms of designer brands, starting in 1985. Since their infancy, the brand continues to produce high-quality products for both men and women. Their prices are quite modest, making their clothing and accessories accessible to a wide market all over the world. Wallets start at $20. Most wallets will cost you around $30. They are usually made from leather and have a simple, but manly design. The Tommy Hilfiger Men’s Ranger Passcase Wallet is their most popular model. It’s made from 100% cowhide leather and has more than enough room for the essentials. Coach is a celebrated brand among both men and women. The New York company has been producing luxury leather items since the 1940s. 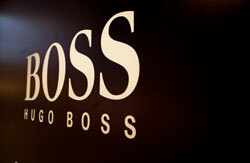 While they also create fashion items and fragrances, they are most known for their leather products. Wallets start at $40, but you’ll most likely pay around the $80 range. The wallets have a classic design that never goes out of style. Their most popular men’s wallet is the Coach Camden Pebbled Leather Slim Passcase ID Wallet. It is slim, sleek, and instantly recognizable in design. 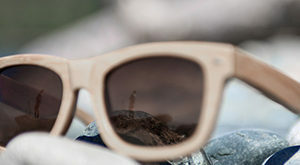 Based in New Hampshire, Timberland is most known for their outdoor gear. From shoes to clothing, the company excels in creating rugged gear for the modern outdoorsman. Their signature shoes have also become a staple in men’s fashion. Their wallets have the same rugged style and build as their outdoor gear. The Timberland Men’s Blix Leather Wallet is the most popular wallet. Made from leather and built to last, it’s a great option for active men. Wallets are on the more affordable side, with the average price at around $20. However, wallets start at an even cheaper $15. Founded by Claus-Johannes Voss back in 1906, Montblanc creates a unique range of products. They specialize in writing tools, watches, and leather goods. The brand is synonymous with quality. Their white star logo has become an icon around the world and acts as a stamp of excellence. Their wallets are on the higher end of the price spectrum with an average price of $250. Their most affordable option is $125. However, you can expect to get an excellent wallet that will last for many years to come. The Montblanc Meisterstuck 6 Credit Card Wallet has a traditional design made from black calfskin leather, making it their most popular choice. The name Gucci is often met with images of luxury and opulence. The Italian fashion brand was founded in 1921 and continues to produce sought-after leather products for men and women. Their products are instantly identifiable due to their logo. Wallets start out at $200. However, guys should expect to pay around $300 for the brand name accessory. The Gucci Men’s Canvas Black Leather Trim Slim Wallet has leather trim and a canvas body emblazoned with their logo print. The stylish wallet is their most popular option due to its style and quality. Dosh wallets are relatively new to the market. However, they’ve made a splash thanks to their unique materials and style. The company makes a variety of different wallets in bright and vibrant color schemes. Instead of leather, the wallets are made from a plastic and rubber polymer. The material withstands a lot of wear and tear, making it perfect for the adventurous man. The average price of their wallets is $60. However, they have more affordable options for around $40. The Dosh Luxe 6-card Wallet has become their signature model. It’s made in Australia and features 6 card wallets and a cash clip. Alpine Swiss is incredibly popular among men all over the world thanks to the great build and very affordable price point. The average price for an Alpine Swiss wallet is $20, with their most affordable offerings being priced at around $10. Their most popular wallet is the Alpine Swiss men’s leather flipout ID bifold trifold hybrid. It’s priced great, made from genuine leather, and has a great design to maximize storage space. While Alpine Swiss wallets are pretty standard in style, many men make it their ideal choice thanks to the superb design and build.. 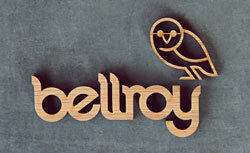 Started in 2010, Bellroy is certainly a newbie in the market. Despite being new, the company has created a respectable lineup of high-quality wallets. They specialize in designing slim wallets made for a variety of different men. The Bellroy Men’s Leather Note Sleeve Wallet is their most popular option. It’s slim and versatile. It was designed to accommodate currency from all over the world. You can expect to pay around $80 dollars for one of their wallets. On the lower end, you’ll pay around $50. Carhartt was founded by Hamilton Carhartt in 1889 and is still owned by his family. The company has been creating work clothes and accessories for over 100 years, so you can expect a highly refined wallet. With ruggedness and durability being the focus, wallets are made from superb leather that will last. The Carhartt Men’s Trifold Wallet is simple in design, making it their most popular option. It is made from top grain leather and strong stitching for a lasting build. Carhartt wallets start at $15, with most selections being priced around $25.